Frequently Asked Questions (FAQ) – TAIL! Are there rules for the event? Check the home page for up-to-date info and to see the calendar of future dates. You can also follow on Twitter, visit the event’s Facebook page, or join the update channel on Telegram. 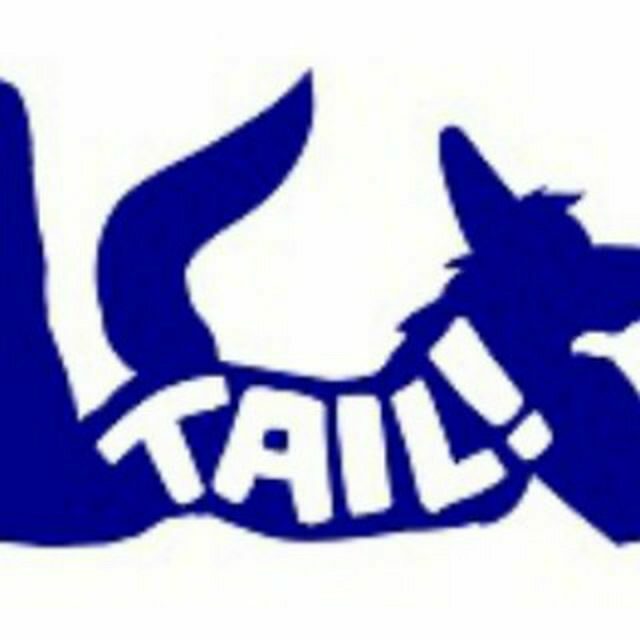 In general, TAIL! is scheduled on the first Friday of each month and the third Saturday of every other month (usually the odd months - January, March, May, July, September, November). The schedule may be adjusted due to holidays, large furry events, or special club events. Always check this site for the firm dates! 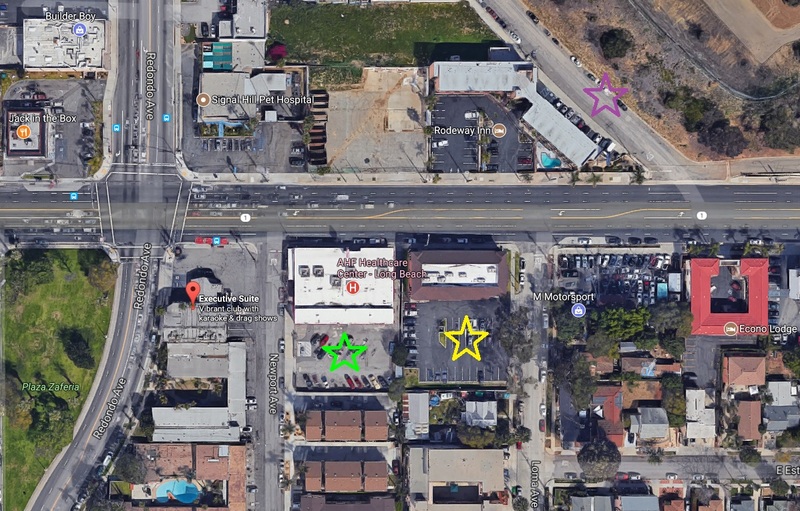 Do not park in the lot at the club — this is reserved for liquor store traffic - however, you can pull in there to drop off passengers and boxes. 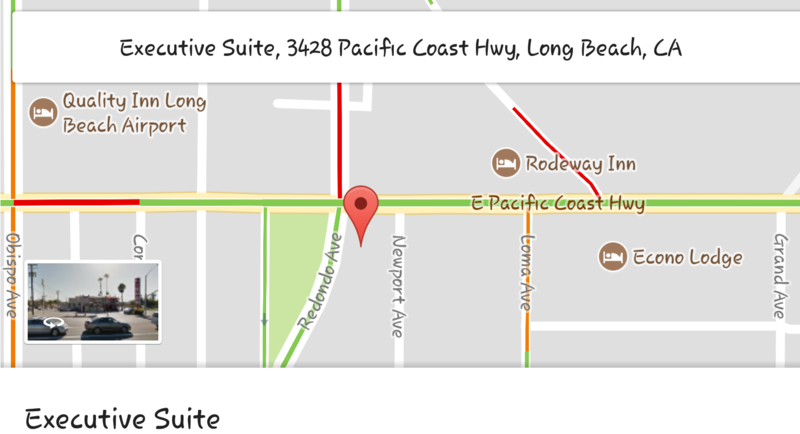 There is almost always parking across PCH on the street behind Rodeway Inn. Open street, open parking. Do not park in any other lots — local businesses and hotels WILL TOW, 24 hours a day. As with any high-tourist urban area, do not leave valuables in your car. 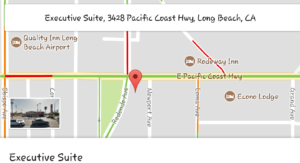 I'm coming a long way - any hotels in walking distance? That's it!! We encourage you to let loose, strut in your underwear, or if you prefer to be indeed fully covered, wear your full-on latex suit, fursuit, pup gear, harnesses, or whatever you want. 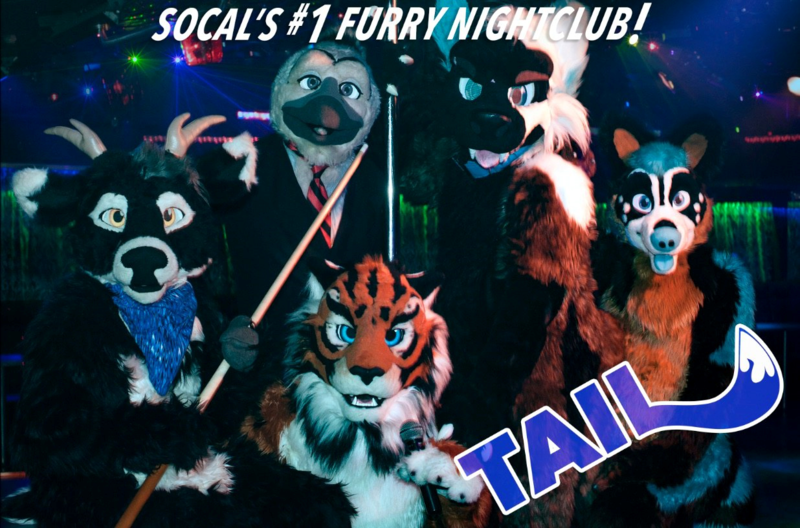 By going to TAIL!, you may see people in only minimal clothing and no fursuit or other costume. This may not be for everyone, so know this ahead of time, thank you. Do I have to wear a fursuit to attend? Of course not, although they are encouraged! Do I have to be a furry to attend? No, you can attend, but you will likely leave a furry. Congratulations! Is there changing space for fursuiters? There sure is, the entire basement is like a big changing space! If you really need privacy, there is also a bathroom with a locked door downstairs. There are chairs, tables, and sofas as well, but the later you get there, the less likely there is to be ample space at any time (though there is usually somewhere to squeeze in). Can I bring my own food? Is there food? You sure can bring your own food! PLEASE be careful and respectful of suiters — we have a lotta expensive fur 'round here! Consider eating your food outside (especially smelly stuff — nobody wants to hop out of suit and get a lungful of stank) or upstairs at a table. Light snacks are available at the bar, and Mexican street food is made to order on the patio- tacos, quesadillas, burritos! You may not bring liquid of any kind into the bar. This is a bar-specific rule and is non-negotiable, but you can direct any questions to the bar owner Lenny. You may not leave the premises with alcohol — but you can enjoy your drinks outside on the front patio! Water is provided to fursuiters and costumers free of charge - if you are in fursuit, or at least something that makes you sweat heavily that is not your normal clothing (rubber dog hood, partial, full latex costume, etc). This chilled tap water will be located behind a counter in a cooler in the basement OR outside on the patio (Lenny is still experimenting) You can purchase cold bottled water at the bars on the upper levels for $3. Three in total. Where you enter is the middle level - karaoke, a bar, pool tables, Megatouch, a jukebox, and plenty of tables and chairs. The bottom floor is a wide open space with sofas and tables outlining some of the walls, as well as chairs. It is not strictly limited to a changing space for fursuit-changing or taking breaks, but time spent there should be limited. There are several TVs on the bottom floor. Most of them will have ambient furry themed movies to enjoy while you change or relax, while one TV is dedicated to the karaoke line-up. If you are downstairs mingling, wondering if your song is coming up, you can easily find out! Karaoke? Do I have to pay for it? How does it work? How it works - touch the monitor in front of the karaoke desk and it will show options - choose by searching by artist, song title, or pick from a list. You will then enter your name. TIP - if the computer isn't accepting your name, hit the enter key instead of "NEXT"
Your name and song will be added to the list along with a number (or "NEXT" if you are the next person singing), this information is on the bottom of every TV on the main level and one of the TVs on the bottom floor (currently none are dedicated upstairs dance floor) and with every person that sings, your number will decrease by one until you are next or it is your turn. Try to be prepared early because if the current singer is not present, the next person in line is summoned. It can easily become your turn instantly even if you are 3 away! Yes, and by golly we highly encourage this! Please notify us of your collection when done and we will happily add links to the website. Please respect other event guests — it’s considered polite to ask those whose photo you’ve taken whether they mind it being shown publicly, particularly if they’re scantily clad or incompletely costumed. If somebody asks you to remove their photo(s) from your online gallery, please consider their wishes. Let good sense and good manners be your guide. Will my picture be taken? The event does not have an official photographer, but does encourage photographers to shoot and share photos at the event. You are fairly likely to be in a picture or two in some fashion, even if you are not aware of being photographed. If you do not want to be in photos, consider approaching photographers politely to make them aware of your wishes, but be aware that they may not recognize you in/out of costume, or be able to exclude you from all photos if you’re constantly interacting with fursuiters, etc. If you find an objectionable photo of yourself online, you should contact the photographer to discuss removing it. I had a picture taken of me/ my costume, how can I find it? Your best bet is to participate in the Telegram Channel, watching the conversation for links and pictures to be shared. You can also watch this site’s Gallery page — we’ll link to photo collections that have been shared with us here. I left something behind! Will it be safe until my next TAIL!? How do I get it back? The owner Lenny always takes pictures of left behind items after every TAIL! and posts to Facebook, which are shared in the Telegram Channel afterward. 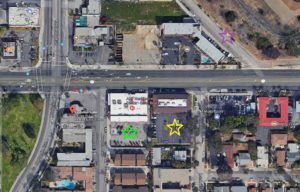 You can reach out to the bar at 562-597-3884 and work out a method of getting the items back - he usually doesn't mind keeping small items there for a while. Don't see your question here? Let us know!